Mount hub on the wall or directly on the headwall. Connect the hub to the nurse call patient station. Connect the patient interaction device to the hub. The system is comprised of two main components — the handheld Patient Interaction Device (PID) and a wall-mounted hub device. Also included are an AC adaptor and a cable to connect the hub to the nurse call patient station. 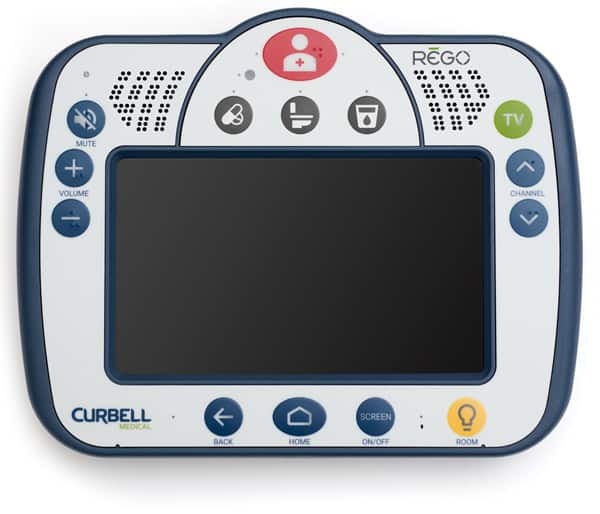 The Patient Interaction Device features a 7″ LCD touch screen, enclosed in a custom case with physical switches which offer traditional pillow speaker functions such as nurse call, TV control, and room control (additional TV and room controls are executed through on-screen user interfaces). 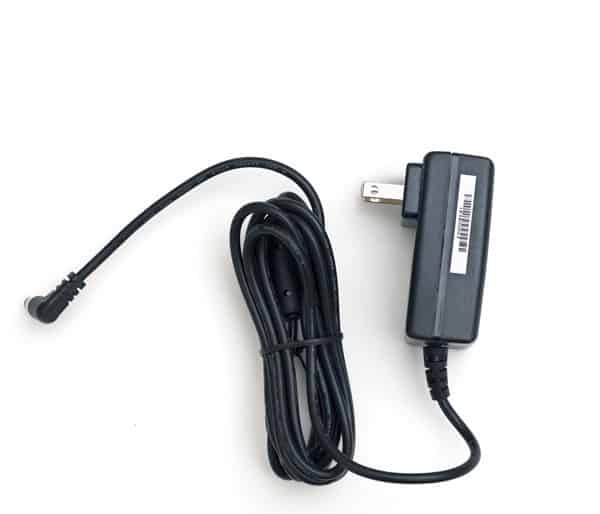 It offers wireless connections to wi-fi and Bluetooth networks and devices. It plugs into the hub, which supplies its power and connection to hardwired systems. 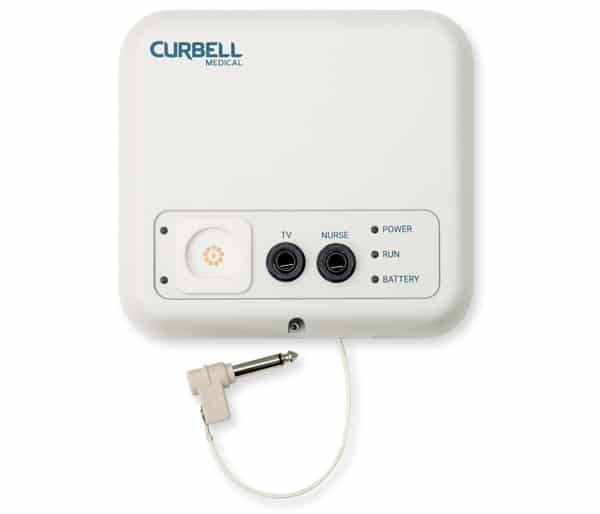 The hub is a wall-mounted device supplying consistent power to the PID and manages data priorities to nurse call and hospital systems via a choice of Ethernet connections and back-mounted TV and room auxiliary terminals. It is the data distribution terminal for the PID, the nurse call system connection, and the system power supply. The system is powered by an included AC adaptor. 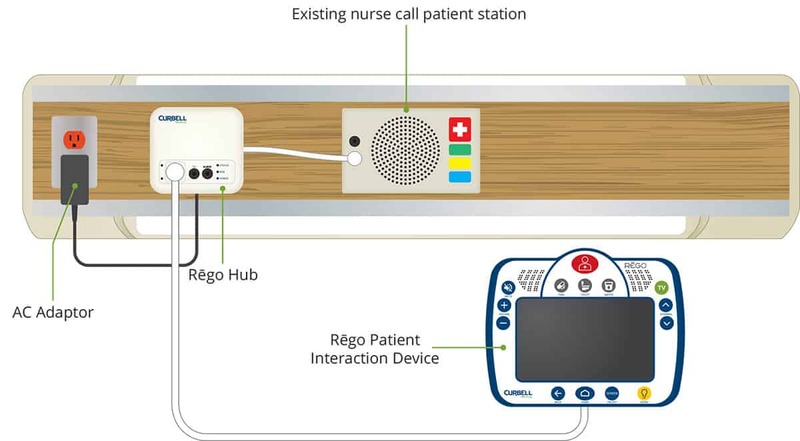 The hub features two ¼” jacks (TV and Nurse) for use with optional accessory devices, such as specialty call cords, and fall management devices. The hub is powered by the included AC adaptor. It is available in different lengths to match your room configuration. 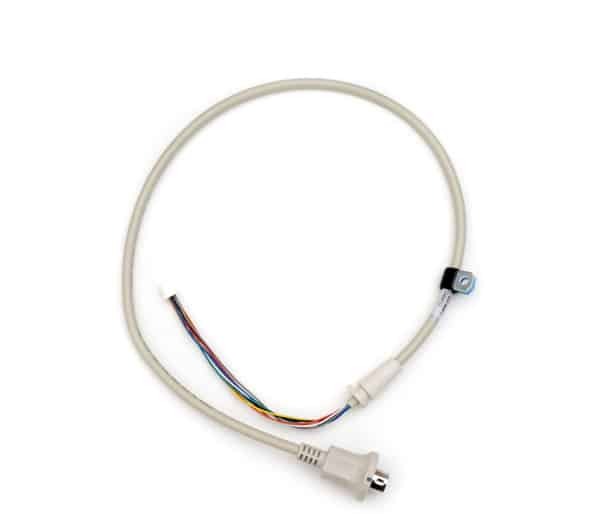 This cable connects the Patient Interaction Device (PID) to the hub. It features a magnetic connection that will break away at the hub. 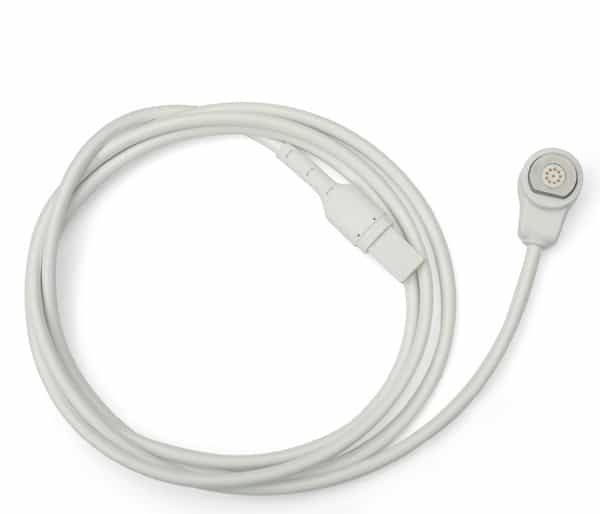 This cable connects the hub to the nurse call patient station.